Olympus Rupes is the name of the large escarpment surrounding Olympus Mons. The escarpment is a cliff where there is a large elevation change over a short distance. 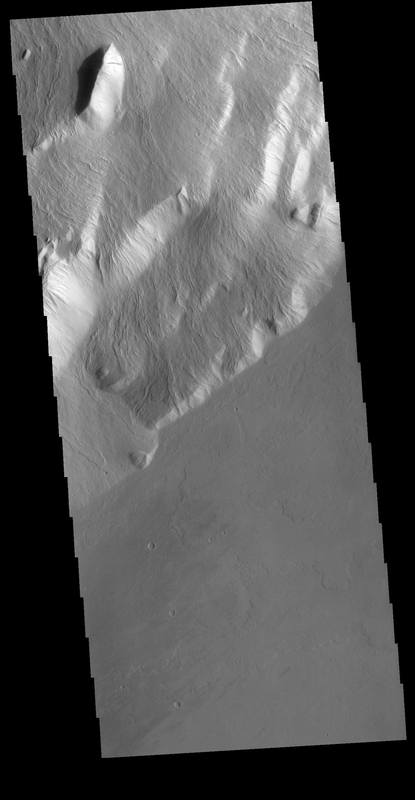 This VIS image is located along the southeastern margin of Olympus Mons, the largest Martian volcano.